Streamers seeking more control over their broadcasts often use external keypads to do things like switching scenes and controlling chat. 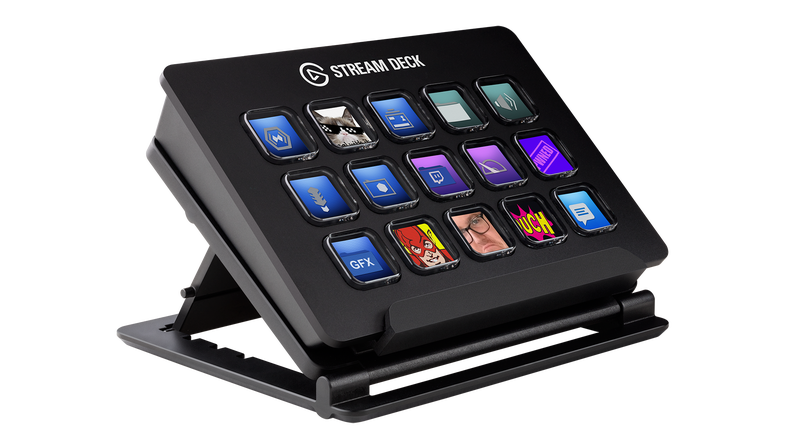 Elgato’s $150 Stream Deck aims to replace those makeshift solutions with 15 dedicated LCD buttons capable of handling up to 210 different actions. It’s quite fancy. The Stream Deck, launched today and available at Elgato’s website, is a black box that connects to your computer via USB. On this black box are 15 programmable buttons. Each button is a tiny LCD screen. Streamers can customize these buttons to start their streams, swaitch from one screen to another, swap overlays, make fart noises, send out a tweet telling people they just made a fart noise—everything a growing streamer needs to ensure people sit and stare at them for hours on end. Not only is each button an LCD screen, allowing users to assign either existing icons or design their own, each button can also act as a folder, opening up a suite of new buttons. It’s kind of like having a programmable mixing board for your streams. I’ll be testing out the Stream Deck over the coming weeks, which should be interested as any streams I do generally involve the bare minimum of effort on my part. Will it make me a better streamer? No. Will it make me a streamer with a host of fancy buttons at his disposal? I sure hope so, because that’s what it was designed to do.